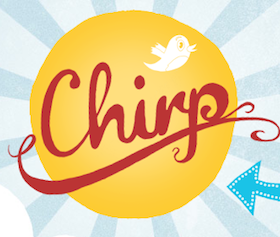 There’s a lot of excitement about Twitter’s first conference, Chirp, which takes place next month in San Francisco. In fact, the tickets for the event, despite their $469 price, have been selling out quickly (they’ve been releasing them in waves). And today brings great news for those still clamoring to go: there is a new type of ticket, and they’re significantly cheaper. Today, Twitter is putting on sale tickets for the second day of the conference for only $140 (yes, 140, like Twitter’s character limit). To be clear, this is just for the second day of the conference, but for those on a budget, it’s a much better deal to be able to take part in the event. The second day is the hack-a-thon event taking place at Fort Mason in the city. And it actually begins at 7 PM PT at the end of day one of the event, when Twitter buses people over from the Palace of Fine Arts, where the day one events (including the major keynotes from Twitter execs) take place. Those who buy these $140 day two tickets will have access to the Ignite event, the breakout sessions, the hack event, and the party which will take place at the end of day two. And, not to be upstaged by Facebook, which is offering student tickets to its f8 event (which is exactly one week later in San Francisco) at $75, Twitter is unleashing tickets for students to both days of the event for just $50. To get these heavily discounted tickets, student will need to bring a valid student ID. Much was made early on about the price of Twitter’s conference as compared to the rival f8 event, but actually, f8 is $425 this year (up from even the $325 we initially thought it would be). So Twitter’s conference is just $44 more, and that’s despite no outside partners (which the Facebook event has). Chirp is being produced by Carsonified, the group behind the popular FOWA events. It runs April 14 and 15 in San Francisco.